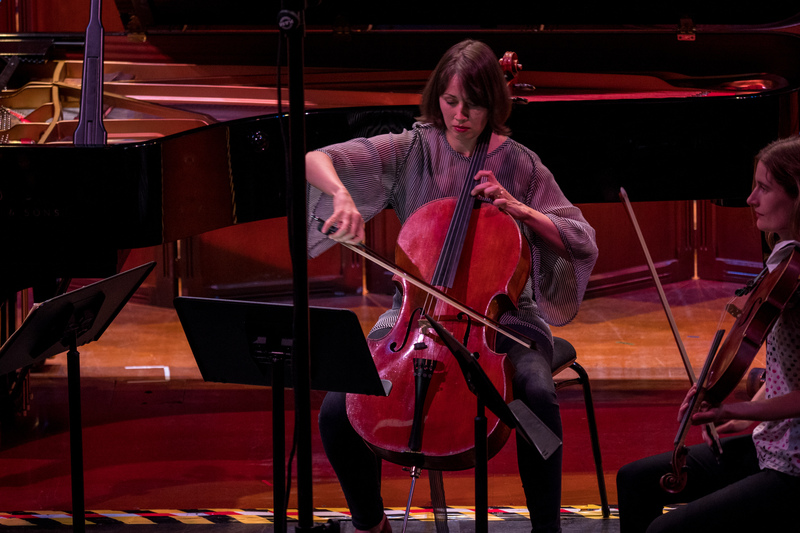 Adam Weitzer examines a phenomenon almost every musician has experienced at one time or another – performance anxiety. Adam Weitzer in conversation with camp participants Kate Mostert (oboe) and Jason Henery (double bass), and tutor Sharon Grigoryan (cello). Your hands become clammy like the tropics; your heartbeat becomes an anatomical racecar; standing on stage feels like having an X-ray of all your deepest failures and insecurities. Few musicians have escaped the grip of these feelings. Performance anxiety is a phenomenon that just about every musician, and performer of any kind, experiences on a regular basis. It might be the thought of fumbling through a difficult passage, or the aura of a large performance venue, or the presence of certain people in the audience. Whatever it may be, performance anxiety is normally marked by irrational fears and misperceptions about your surroundings, which kick our bodies into a defensive gear. 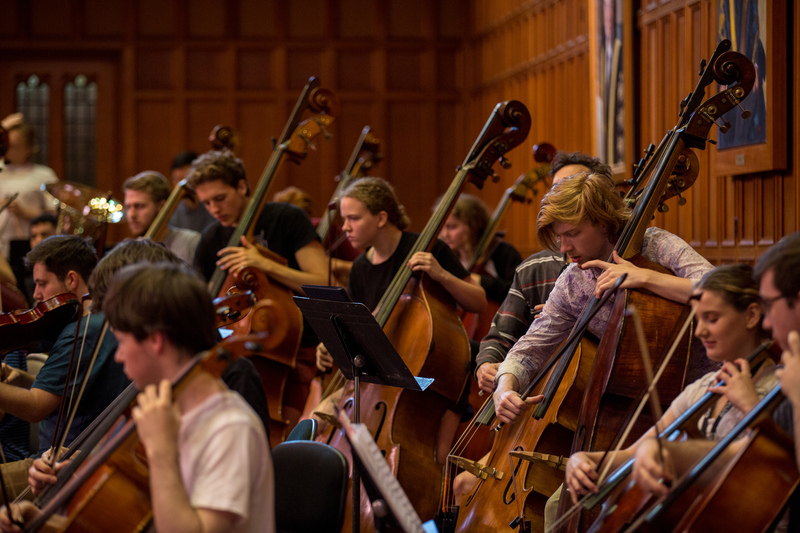 According to Jason Henery, who played as principal double bass at AYO National Music Camp 2019, "it’s like a fight-or-flight response." And it makes sense: when we perform, we are presenting our hard work to people who will inevitably pass judgement and often scrutinise our every move and mannerism. Given the universality of performance anxiety, solutions to the problem have been thought through-and-through. 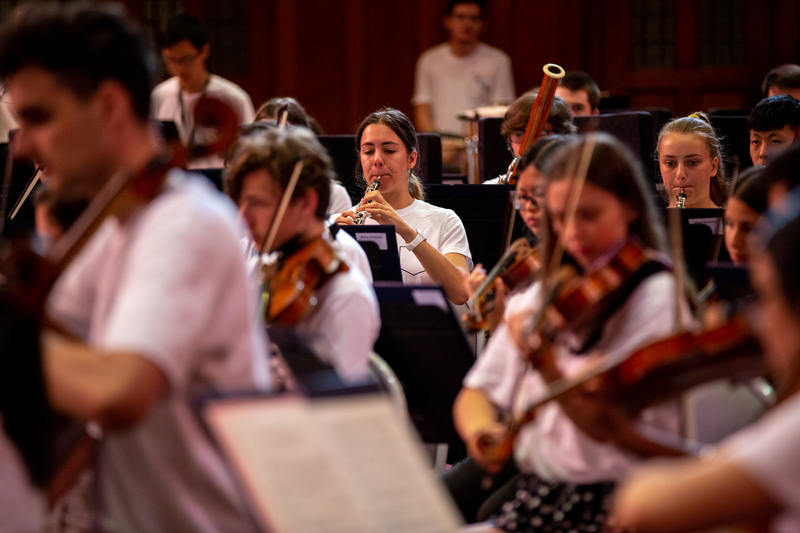 Kate Mostert, who played principal oboe in the Bishop Orchestra at Camp, recalls a trick from her teacher: "You can think yourself into being on stage in your practice room, and in your practice room on stage. That was a new idea to me at the time." Sharon Grigoryan, cellist of the Australian String Quartet, suggests another useful technique. "Record yourself, as though it were a radio broadcast. It forces you to keep going, no matter what." That’s particularly valuable if your cause of anxiety is the fear of not executing details. It’s important to see the bigger picture. After all, no less a figure than Beethoven said, in a nowadays oft-memed quote: "To play a wrong note is trivial, but to play without passion is inexcusable." Although performance anxiety originates in the mind, it’s also important to understand the physiological manifestations, since it is often the fear of these physical responses that can worsen the cycle of anxiety. They can, after all, be so debilitating as to sabotage a performance. My own experience learning the Alexander Technique helped enormously to calm my nerves, because it gave me something constructive to focus on. Normally we think in a destructive way when struck by nerves – don’t do this, don’t do that, don’t mess up this or that phrase… the list goes on. Naturally, performance experience goes a long way towards helping to make the stage a less fearsome place. But it’s important to remember that even professionals – sometimes of superstar status – never 'overcome' their anxiety. Pavarotti admitted to remaining terrified of the stage despite his quasi-deified status in the operatic world, while the pianist Martha Argerich is known to suffer from acute backstage nerves before easing into her typically powerhouse performances once settled on the stage. The lesson, then, is that framing the question as ‘overcoming performance anxiety’ is the wrong approach. Clearly performance nerves have positive effects as well as negative. Any performer with a complete absence of nerves will tell you they felt flat and uninspired. The challenge is to find a balance between the fight and the flight, since it’s in that space that the electricity of a good performance finds its circuit. Adam Weitzer is a clarinetist, and took part in the Words About Music program at 2019 AYO National Music Camp.